The newly built Laza Beach Inn is situated 300m away from the center of Skala, Agistri's main village. 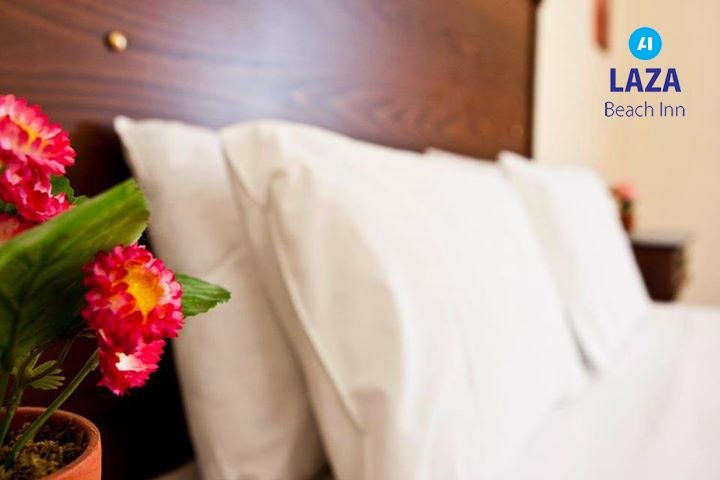 All functional rooms are decorated in bright colors and offer modern furniture for your absolute relaxation. Each unit is non smoking and equipped with air-conditioning, TV and a small fridge. En suited bathrooms are spacious and balconies boast views to the sea or the mountain. Apart from it's close proximity to a pebbled beach featuring sun beds and parasols which guests at Laza can use free of charge, this property is also next to our sister seafront Yialos restaurant serving fresh food made of local products and fresh fish! The restaurant is also an ideal location for parties, weddings and gatherings. Free Wi­Fi is also offered throughout the restaurant to keep in touch with your friends and family. Follow Agistri Inn's board Laza Beach Inn Agistri on Pinterest. Thanks to its close proximity to the island's port, the team of Laza Beach can arrange your transfer to your room. Due to their compact and intimate character, rooms at Laza Beach Inn are mainly suitable for friends and couples seeking an unwinding holiday in the lush green surroundings of Agistri, away from the bustling touristy resorts. The authentic Greek hospitality combined with pristine nature will make you fall in love with this hidden gem of the Saronic Gulf.